If your looking to have the very best paintballing experience in Wanstead Mayhem Paintball is the venue. Being just the other side of woodford (woodford being a 10minute drive from us) your not far at all. We also provide a free collection and drop off to and from theydon bois station on the Central Line. Mayhem paintball's facilities are head and shoulders above the rest i can guarante, with hard standing toilets and showers fit for Kings or Queens. We use the very best thermal double glazed goggles to prevent steaming throughout the day. 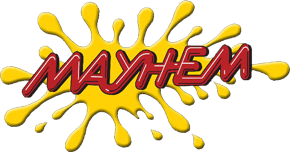 Mayhem Paintball has 16 different playing areas with a range of tanks, planes, scud launchers, armed response vehicles and much much more. With experienced & helpful staff we would recommend coming along to have a look at our site or any of our competitors, we guarante that you will not find a better site in Essex, London or within 100 miles of Mayhem. Please call or more information on Wanstead Paintball, please check out our website.